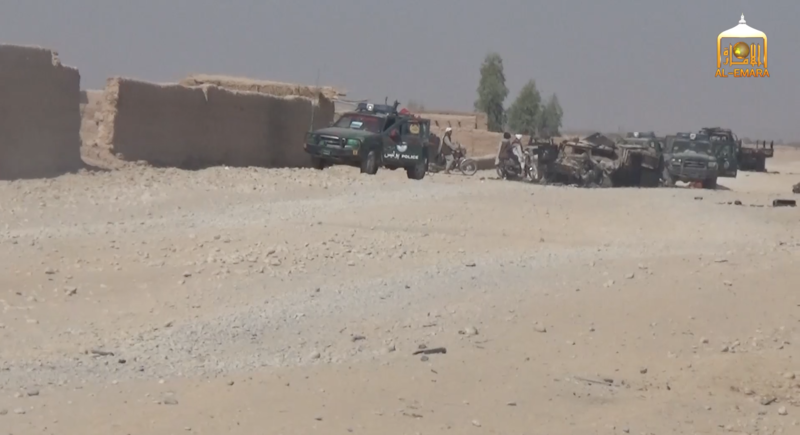 The Taliban has documented the aftermath of last week’s ambush on Afghan security personnel on the outskirts the provincial capital of Helmand which resulted in scores of troops killed and dozens more captured. 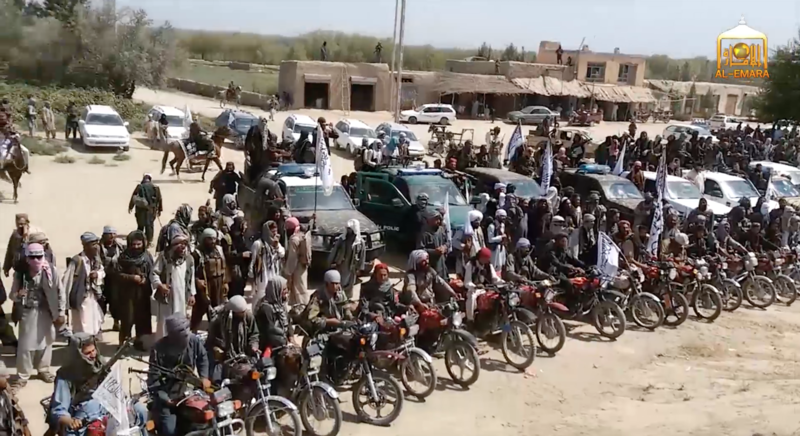 The Taliban released a video today that details the deadly ambush near Lashkar Gah, which underscores the deteriorating security situation in the province. 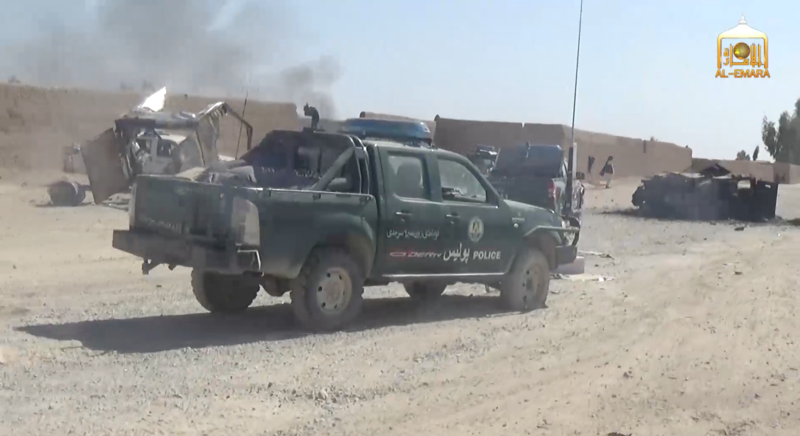 Afghan officials in the Defense and Interior ministries denied the report that its forces took high casualties near Helmand, and there was no reporting of the ambush in the Afghan press. 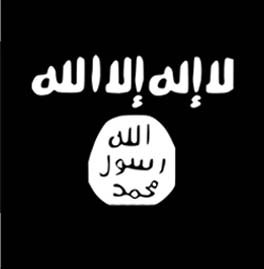 However, the initial Taliban and The New York Times accounts closely matched. Today, Taliban backed up its version of events in Basharan when it released a video which includes footage of the ambush and its aftermath. 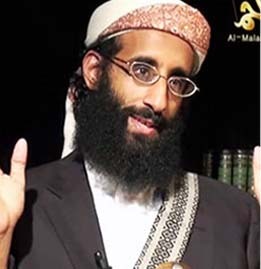 The video was released by Al Emarah Studio, which is “part of [the] multimedia branch [of] the cultural commission of Islamic Emirate of Afghanistan,” the Taliban said in a statement released on Voice of Jihad. 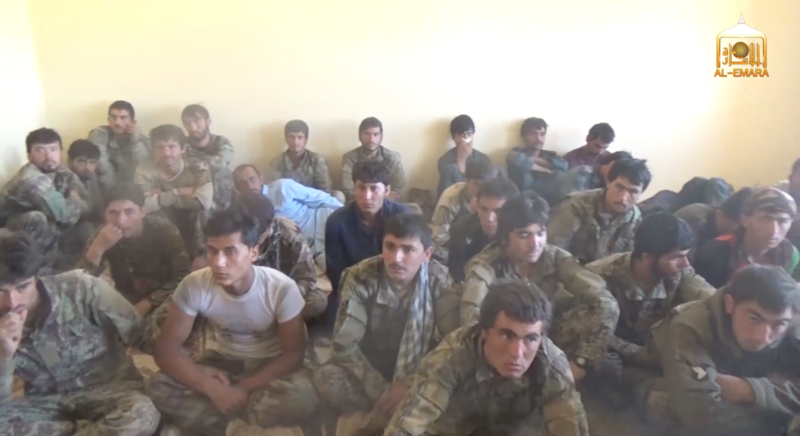 The Taliban video confirmed their own claim that a large number of troops were killed and captured during the ambush. 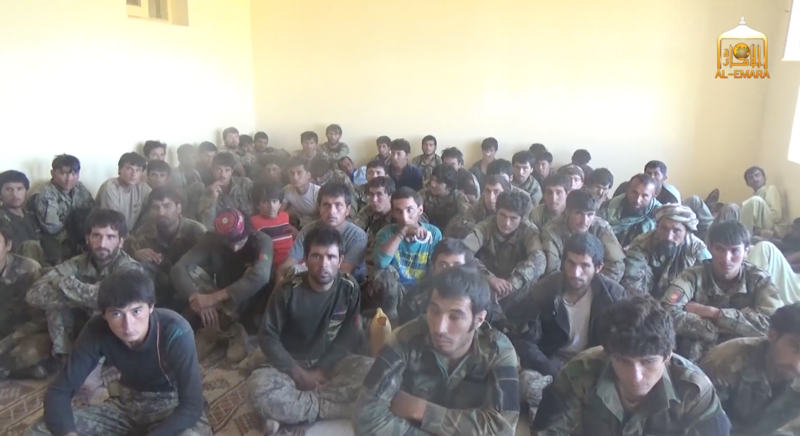 One scene shows a large number of captive Afghan troops sitting in a room. Several captured security personnel are interviewed at the end of the video. 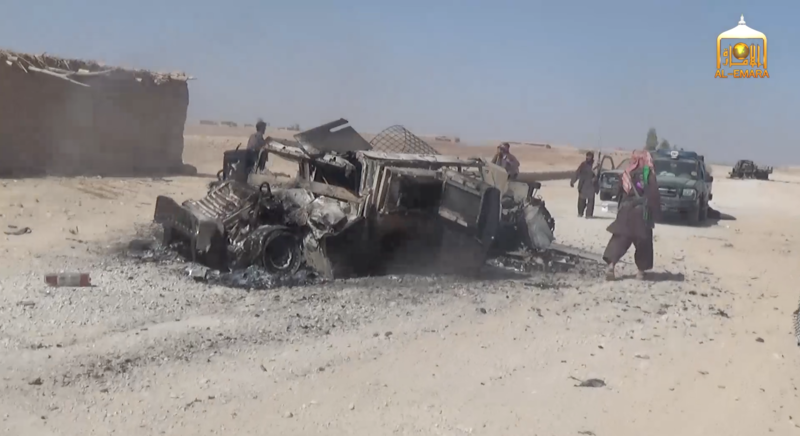 Other video clips show dozens of slain Afghan security personnel lying next to burned out or destroyed vehicles. 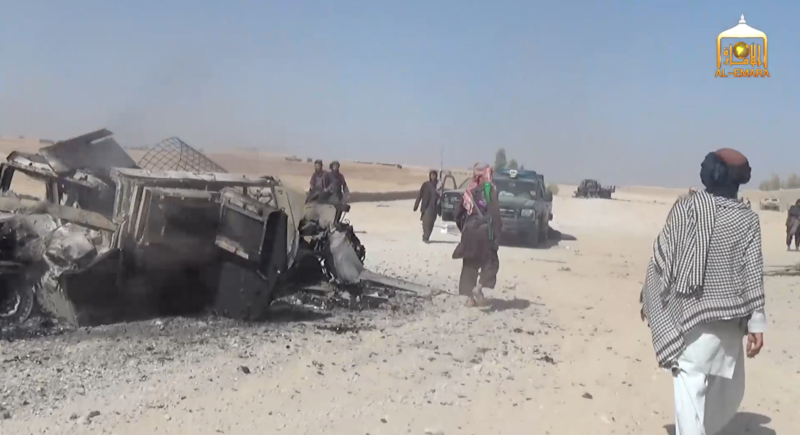 The Taliban also show a large number of vehicles captured or destroyed during the ambush. 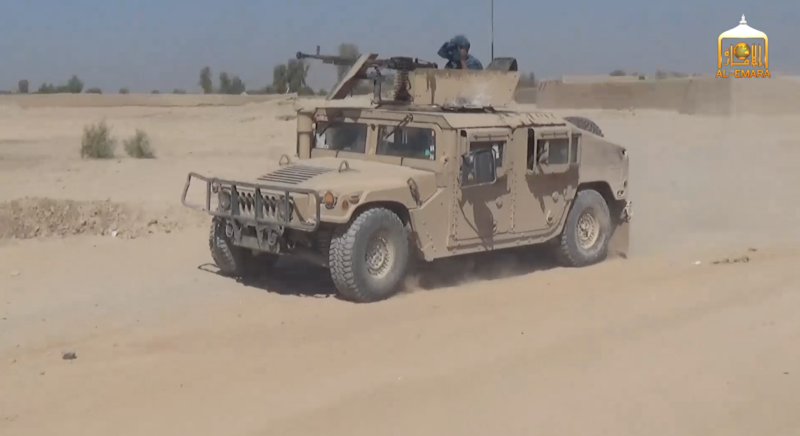 Taliban fighters are seen driving several functional US-supplied HUMVEEs and Ford Ranger pickup trucks that are normally used by the Afghan National Police and Afghan Local Police. One of the HUMVEEs captured looks to be so new that it has what appears to be shipping paperwork taped to the window. 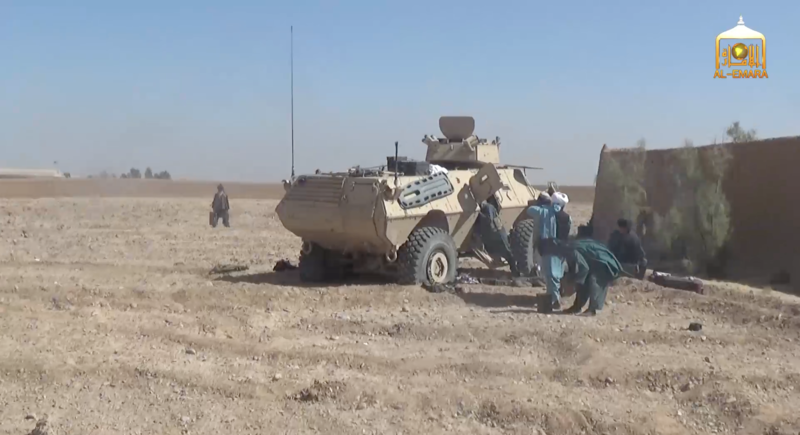 The Taliban also show a captured M1117 armored vehicle. 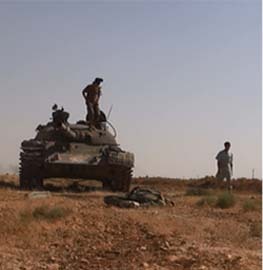 A number of burned-out pickup trucks, HUMVEEs, and cars are also displayed in the video. The Taliban recorded the video in the daylight, presumably the morning or afternoon following the ambush, which was said to have taken place at 2:30 a.m. local time. 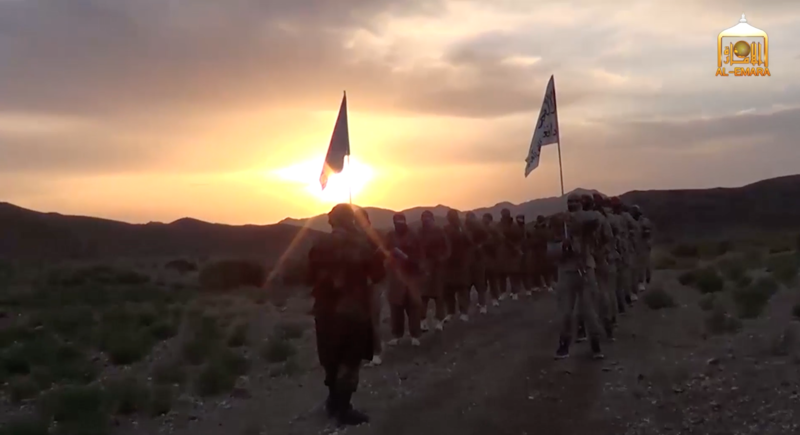 Despite several hours passing between the ambush and defeat of the Afghan forces and the recording of the video, there was no apparent response from the Afghan military or from the US Air Force. 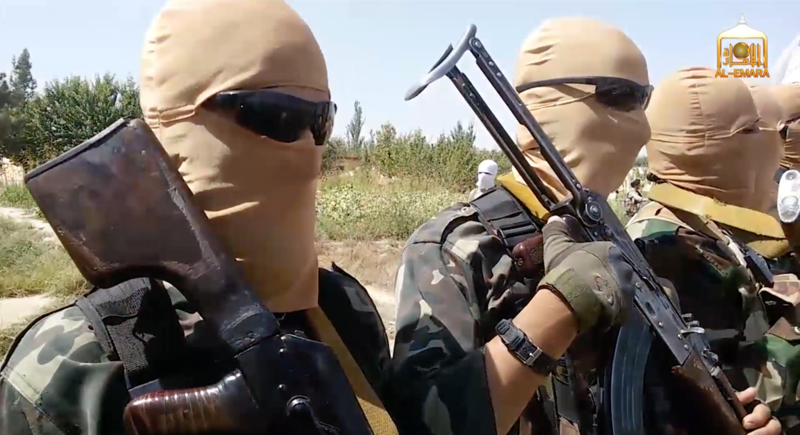 The Taliban seen in the video are operating in the open during daylight just outside of the provincial capital and do not appear to be concerned about airstrikes. 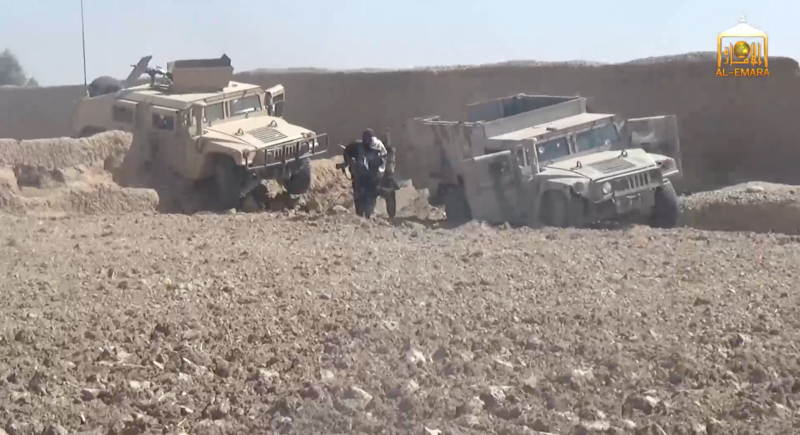 The video highlights the precarious situation in Lashkar Gah, which has been under Taliban threat for well over year. In Oct. 2015, The Taliban advanced to within miles of Lashkar Gah, which has been besieged ever since. US advisers have been deployed to Lashkar Gah and other districts in Helmand to help Afghan forces battle the Taliban, but have struggled to contain the threat. Of Helmand’s 14 districts, six are known to be controlled by the Taliban and another seven, including the provincial capital, are heavily contested. 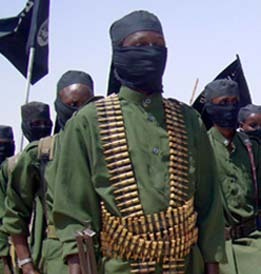 The Taliban are threatening four other provincial capitals. It is confusing that no back-up of any kind showed, even after day break. That no one else knew what was happening for that long? Very confusing. Not one U.S. helicopter gunship shadowing the convoy. What a waste of human life let alone valuable equipment. U.S. command must be in a sorry state. Now I’ve read the U.S. does not even know if missiles did target the USS Mason. This is truly a nightmare. The Once Mighty US Military, in which I served (sans hubristic adjective), is the gang who cannot shoot straight. Since our big loss in Vietnam, I have watched us rack up a number of mid-sized losses such as Somalia, Libya, Yemen, Iraq and now Afghanistan. 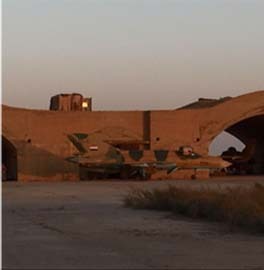 The enemy stole our allies’ equipment in Iraq. Of course they are stealing it in AFG too. This is what happens when you give high-powered weapons to primitive haters high on the world’s best hash. The Mason isn’t sure if its chaff or SM3s defeated those Chinese 802s or if they just fell in the water. From the gang who sailed into port in Iran by mistake, this is not a surprise. LWJ provides the best, and only source of reliable intelligence for me out here in Afghanistan as the rubbish being pumped out from RS and the international agencies isn’t worth reading. The local Afghans I work with tend to corroborate much of what LWJ reports, often contradicting the official line. Most of it is just GIROA propaganda. So please keep up your sterling efforts. A damn shame and a testament of how command and control in Afghanistan has totally lost it. On the other hand, DoD has successfully published the Commander’s Handbook for Transgender Policy Implementation. Don’t tell me our eye is not on the ball. The US´ involvement in Afghanistan has been an utter disaster even 15 years after the alleged defeat of the Taliban. 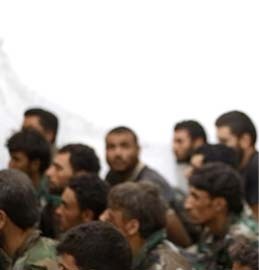 And now imagine how stupid any US politician must be who thinks the US or rebels supported by the US can contain Jihadists in a Syria post Assad. The one thing we have not been able to give the ANSF is the will to fight! We have given them money, weapons and support but, if they lack the will to fight, all the equipment in the world will no change the outcome. Our presence was what gave the fledgling ANSF the confidence to take on the Taliban. The only military advantage the TB have over the ANSF is the will to win. As a famous general once said… the moral is to the physical as 3 is to 1. We forget that it took the US military 150+ years to grow into the force we have today. We tried to cram 150 years worth of institutional development into 10 years..sorry it just doesn’t work.